Shatavari (scientific name: Asparagus Racemosus) is a species of asparagus native in Sri Lanka, India and the Himalayas. It is an important medicinal plant of tropical and subtropical India. Its medicinal usage has been reported in the Indian and British Pharmacopoeias and in traditional systems of medicine such as Ayurveda. Shatavari is mainly known for its phytoestrogenic properties. In Ayurveda, Shatavari has been described as a rasayana herb and has been used extensively as an adaptogen to increase the non-specific resistance of organisms against a variety of stresses. In addition to the usage in the treatment of diarrhoea and dysentery, Shatavari also has antioxidant, immunostimulant, anti-dyspepsia and antitussive effects. Shatavari is rich in active constituents such as galactose, arabinose, steroidal, glycosides and saponins (known as Shatavarins), which could the reason for its adaptogenic effects. 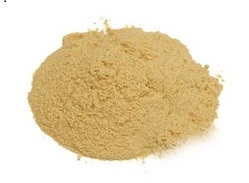 Our Shatavari powder can be used to by mixing with water, or juice, or even milk. Take 3 to 10 grams, 1/2 to 2 teaspoons daily, Spread over the day.